Thankfully God gave me two ears and only one mouth! Given that ratio I should be listening twice as much as speaking. Unfortunately, or perhaps fortunately, God positioned my mouth visibly in front! Charles Wesley wrote a great hymn called, “O For a Thousand Tongues to Sing.” Honestly, at times I have trouble managing one tongue, let alone a thousand! Only what goes in through the ears comes out through the mouth! Democracy attempts to give equal voice to poor and rich, unknown or famous, young as well as old. Though I reside in a democratic nation I actually attempt to live from Kingdom of God principles. A kingdom is not democratic! Lately my King Jesus has been pinpointing some of my speaking problems. Sometimes the issue is a shortage of words; other times it is the type of words resonating from my lips that create the difficulty. This morning I read a mother’s advice to her kingly son. Listening to your mother is always important! When such advice is in the bible, it deserves even greater attention! Many segments of our society are “voiceless”, and easily ignored, even in a democracy. 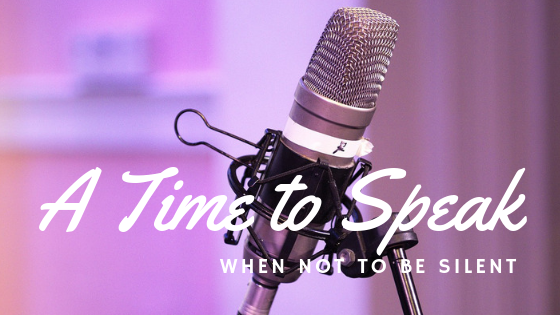 The cost of speaking up can be extremely high! Who will speak for the unborn, the elderly, the intellectually disabled, the ones without home or identity? The challenge reaches beyond a king’s son to each of us. There is just reason for such encouragement! I will spare you the details of my personal tongue wagging when silence would have been appropriate. Understanding combined with grace contribute of listening well. Silence arises either from the womb of wisdom or the tomb of shame? 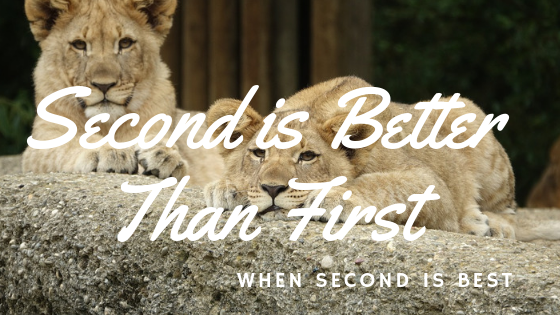 The first releases life; the second is a dark prison. the proper time and procedure. My tongue may be situated close to my brain, but it is inseparably connected to my heart! If I’m having trouble with my tongue, the heart, not diction, is the real issue. At times, wordless voids create deafening silence. A silence leaving others feeling unloved, unwanted, insignificant, used, or shunned. The right words validate, show respect, affirm and cherish. They sooth wounds and minister healing. Well spoken words bring understanding, lift burdens, and ease pain. They release permission to dream, aspire, and hope. Words powerfully protect the weak and ensure justice prevails. Silence is not always an option! Failure to use our voice has eternal consequences! “sometimes preaching in up to five villages a day, often outdoors. or up steps in a public building. He preached to . . .
We have both voice and influence. Daily there is opportunity to share our personal stories of faith with others. These simple heartfelt words may be the channel God uses to bring someone into faith in Jesus Christ. A young woman excitedly shared how she through faltering prayer, lead a friend into personal relationship with Jesus. Her own conversion to faith is fresh; her bible knowledge limited. One thing she knows — Jesus is worth it all! Tears of joy and gratitude streamed down her face as she spoke. 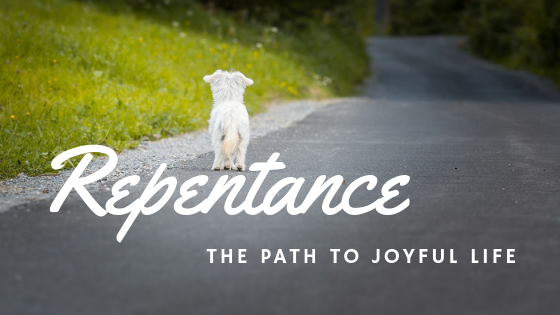 This experience of witnessing someone come to Christ has trumped her Christian experience. Well it should! There is no greater joy! With equal enthusiasm heaven and earth should celebrate when a sinner comes home! We don’t need all our spiritual “ducks in a row” with impeccable theology or living in holy perfection to be effective voices for the Kingdom of God. God looks for the willing! Today I’m praying for the right words combined with boldness to speak them! The results are up to God! I can hardly wait to see what He will do! Mary, the mother of Jesus, is a perfect example of God’s way of choosing those the world would call ordinary to reveal His extraordinary. Man places emphasis on outer appearance; God focuses on heart. 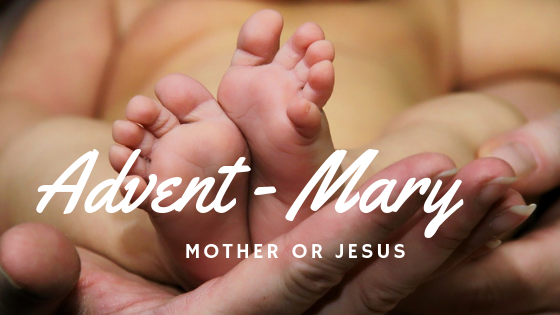 What did God see in Mary? What set her apart from all others? “Greetings, you who are highly favoured! Favoured here means to bestow grace upon or endue with special honour. It is the same verb used in Ephesians 1:6 where it is translated, freely given, poured upon, blessed with, bestowed, or made accepted. It is a reminder that all merit or grace comes from The Lord — for Mary and for us. you have found favour with God. and you are to call him Jesus. Questions rose like unstoppable waves in Mary’s mind. A virgin conceive? The angel gently calms her fear; this conception, unlike any other, will be through the Holy Spirit. Mary received by faith what many professing Christians continue to doubt — the virgin birth of the Messiah. How could this be possible? This verse literally translated says, “With the word God gives, He gives the power to fulfill it”. Mary believed! Her faith rested in the Almighty God who gave His Word. Don’t be deceived! Mary’s declaration wasn’t new! Long before this day, Mary had already chosen The One she would serve. Choices predetermined in the calm will not waiver in the storm. Decisions made in the day will go unquestioned during the night. In human weakness, God proves strong! Mary quickly hurried off to see Elizabeth & Zechariah. Elizabeth carried in her once barren womb the child destined to prepare the way for the coming Messiah. Elizabeth prophesied blessing upon Mary and The Holy Child hidden within. What extravagant worship flowed from the hearts of these two amazing mothers — one whose days appeared almost over, another whose life was barely beginning! Power, position, and privilege reveal true character. We find in this young woman, probably still a teenager, a steadfast, humble heart of worship. Embedded in her prayer is a dozen quotations from Old Testament Scriptures. Although she undoubtedly had no formal education and was illiterate, Mary had listened closely to the reading of God’s Word hiding it in her heart. God’s words at times were piercing; at other times, like honey to the soul. Mary received them all with equal grace, humility, and surrender — treasuring, valuing, cherishing each as precious. Every utterance pregnant with promise! It is one thing to surrender ourselves; it is another to surrender our children. Mary, together with her husband Joseph, dedicated Jesus to the Lord. Women weren’t required to attend the yearly Passover; yet together Joseph and Mary went. Jesus felt “at home” in God’s house. Even though she didn’t understand, Mary again “treasured all these things in her heart.” Content, perhaps, to know her Son possessed a listening heart! A mother, surrendered and listening to God, willingly yields her children to His design. Years pass quickly! Like his father Joseph, Jesus became a carpenter. But for three days the carpenter’s shop was quiet; the apron unmoved upon the bench. A recent baptism! A cluster of followers forming! Something was shifting; her mother heart knew it. “They have no wine,” were her only words to Jesus. “Woman why do you involve me? Refusing offence, her words to others echo her knowing heart, “Do whatever he tells you.” Surrender precedes miracle! From conception on, Mary believed. 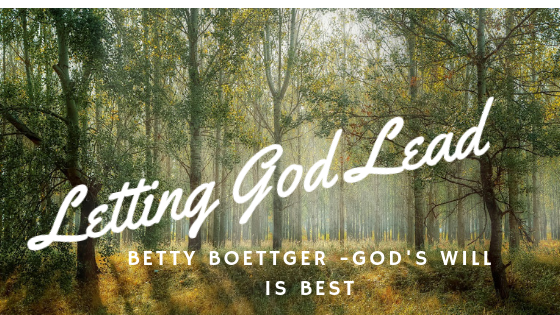 She followed Jesus both with a mother’s love and a disciple’s commitment. In steadfast devotion, she accompanied His last fatal journey to Golgotha. Was she one of the unnamed with “The Eleven and those … assembled together” when Jesus entered revealing nail-scarred hands and feet? Later after Jesus’ ascension, we see her among those continually praying in the upper room. Waiting and seeking the promised Holy Spirit. Years of prayerful abiding, sustained and prepared her. — the Spirit of truth. Mary was one woman, a “humble servant”, who treasured God’s promise — not for a moment but for a life time. In weakness, we find strength. God is adequate in our insufficiency. Upon common circumstance, He breathes His extraordinary, crowning our little with favour. Until, in Him we too become children of promise! Mary became an unexpected heir of promise, not once but twice. First in her womb, as a virgin; then in her heart, as a disciple. What generations had long hoped for, Mary received — Christ, the Saviour! Now by faith in Jesus Christ, there is equal access. The promise of eternal salvation is offered freely to each of us. Who today will believe? Will you? Will I? Looking without seeing is a blinding condition in more ways that one! I can drive the same road day after day, week after week without noticing the environment around me. Suddenly, I will see something as if for the first time that actually isn’t new. Though I was looking, I wasn’t truly seeing! My eyes were not open to the obvious. By watching closely, we will see evidence of God all around us. God brought Ezekiel to the temple court – the place where the priests minister. When Ezekiel looked, he saw a “hole” in the wall. “Then he brought me to the entrance to the court. I looked, and I saw a hole in the wall. When Ezekiel began digging “into the wall”, a doorway became visible. Looking, seeing and digging wasn’t enough! God asked Ezekiel to go through the doorway to look harder, more intentionally, at the condition of his city. He challenged Ezekiel, “Look! Observe! Pay attention! What Ezekiel saw was disturbing! I assist hurting people every week as they wade through destructive life circumstances, helping them “look” at the truth of God’s word personally and “see” hope in Christ. My work with others often awakens a fresh awareness of areas needed in my own personal development and healing journey. God desires for each us to be on a continuing trajectory to health and wholeness. I have come a long way, but have a long way to go. What you see now is not what I used to be! Thankfulness for all God has done is appropriate. Allowing myself to be blinded to the need for continued personal growth, however, is harmful. Change is not optional, but rather mandatory, for Christians! As a lay minister, it is often in this place of assisting others that my own “gaps” and “holes” become most evident. It is the perfect place for God to reveal points of His unfinished work. “Stop! Look closer!” I’ll sense Him say. When I am willing to look, He allows me to see more broken jagged edges! Holy Spirit reveals hidden places of self-protection, negative thought patterns and recurring destructive behaviours. Blinded by familiarity, these patterns would otherwise go unnoticed. It amazes me how much of life can be lived without any serious looking or digging! Only when I am willing to become honest before God and others will the avenue of healing and liberty be exposed to view. Thankful for victories past, I prepare to work on present trouble spots! In the space between past and future I feel the burden of now — fragile, exposed, and vulnerable. Looking isn’t easy! The depravity within and without is wearying, even horrifying! My willingness to see, however, precedes any victory to come. God will not do the work for me; He waits for my active participation in the process. I must look with intention! Purposefully digging beneath protective layers requires obedience to open the door of my heart and mind to His examination. In the looking, Christ is with me. He is enough in the digging. In the opening, He is present. The cross has paid the price. There is always a morning! A new day! A fresh opportunity! There must be present a purposeful intention both inwardly and outwardly; never so outwardly focused I am inwardly complacent nor inwardly minded that I am outwardly negligent. God was the One who directed Ezekiel’s sight-line. He is willing and able to aim my own. It is possible to maintain a quiet trust and confidence embedded within a surrendered heart. He turns my gaze, focusing my vision on what He wants me to see and become. When He is says, “Dig”, I will have the strength to respond! When He says, “Look”, I will have the grace to see. Then, and only then, will He give me the wisdom to open the doorway to the next place of deliverance and freedom. It is astonishing to realize that in everything Christ can be seen, when we are willing to look. Regardless of circumstances, God’s wonder is revealed in every direction, including our common ordinary. The courage of one, raises the tidal mark of bravery for others. 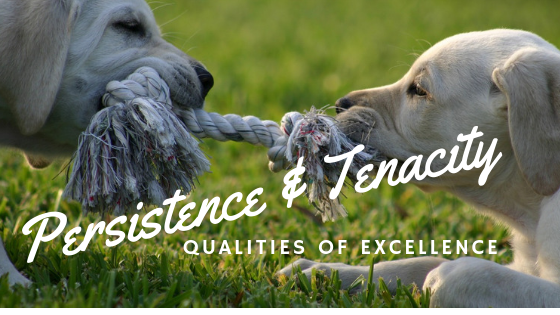 As one person strides forward in victory, others are inspired to take similar fragile steps. Is this not the appearance of faith? Looking and seeing! 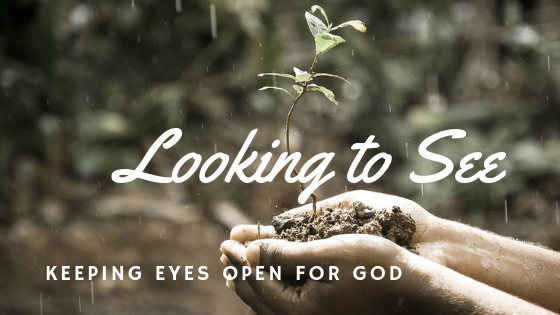 Keeping our eyes constantly open for the movements of God! A Daughter’s Redemption! Dawn Enters a New Day! The Prodigal Returns, Prayer Answered! Running No More! Since I’m nearsighted, I’ve worn corrective glasses since grade school. Being nearsighted may present problems, but having clear vision gives new perspective. Failure to see clearly from an eternal viewpoint creates even more of a dilemma. 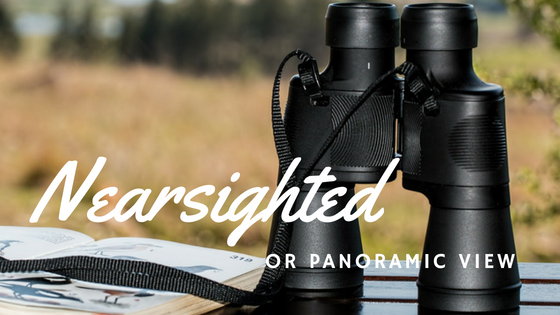 Will I have a nearsighted perspective or choose a panoramic view? The cross of Christ is the bridge between two significant perspectives. Stick with me as I illustrate! In my office with laptop before me, dozens of national flags dot the wall beyond my desk. The telephone and my bible are tucked close. A travel mug of icy water completes the items within my limited view. When I adjust my position a quarter turn, I view my office mate steadily working at her computer. A song of praise continuously flows both from her heart and the speaker beside her. Her backpack slumps lazily from a comfy corner chair. From the final perspective, I view through a large window into a hallway. The window pane originated from the “mother” church planted within our city decades ago. Imprinted in the glass are images of the vibrancy of that little mission church with a sign announcing “Jesus Saves”. Since I spend so much time here, I might be deceived into thinking this “box” I call my office is “my world.” Here the ceiling hangs low, the lighting artificial. We grow to love or hate our familiar boxes! As I exit the church, the air is crisp as the wind wisps my hair in uncontrolled fashion. The noise of the street rises as I make my way unto the bridge spanning a busy bypass beneath. From the bridge, the view is drastically different from my office. As I look back, my office is hidden within the larger church structure that dominates my view. A senior’s complex snuggles in the church’s shadow. On the opposite side of the roadway rests a cemetery sheltered by mature elm, maple and spruce. A condominium unit fills the remaining gap within focus. Turning southward, I notice the university, nestled by Wascana Creek. A teepee village circles the front lawn of one of the nearest buildings. The rush of traffic comes and goes from beneath my bridge. To my right the view changes completely, as I look toward parks and walkways. Trees, wildflowers, and chirping birds invite me further. Another quarter turn and I face the traffic full on: coming and going, crossing and merging, entering and exiting. The constant din of motors and wheels, exhaust fumes rising from hot pavement and rapid movement of vehicles bombards my senses. Then I look up! Wisps of white swirl upon a otherwise barren canvas of cerulean blue. The sun’s warmth intensifying even at this early morning hour. I don’t stop here making my way to the other side. Though I am very close to the bridge the sounds and busyness are immediately hushed as I venture along this “natural” walkway. Trees gently bend their boughs in open arm movement overhead. Children laugh and play undisturbed in a nearby park. Birds swoop and twirl in the gentle breeze. I look back wondering how I can still be so close to the bridge but so far removed from what was just steps away. My soul breathes, then breathes again. I want to stay, to linger, to rest! Responsibility calls me back over the bridge to my office. My perspective of life can be viewed only from a “box” of duty or commitment. I can jealously look at other boxes and wonder why some are larger, more elaborate, with more benefits than mine! I can even begin to resent my box and its limitations. Blessings are equally distracting! Opportunities or comfort obscure by vision, causing me to forget it is only a “box” – a part of the something much bigger. Bridges span two realities. There is before me a solid bridge — the cross of Jesus Christ, connecting present reality to the truth of heaven’s eternal promise. From this bridge, perspective changes. Without ceiling, The Light is pure. It is the transition point between the world in which I walk and the eternal realm in which I truly live. Under the cross all life flows! I am exposed to cultures beyond my own. It is fast paced, at times draining, but always satisfying. There is nothing boring about living the way of the cross! From the cross I catch the breath-taking view of heaven’s domain. I touch a different reality, feeling the freedom of life fully lived. There are “cross-over” moments of resting in the Presence of the Almighty. Eternity welcomes me further! The questions we have and the answers we seek will be determined by perspective. Sitting in nearsighted little boxes, questions of God may be self-seeking and self-motivated. Questions and answers from the position of the cross usually focus outwardly toward others. 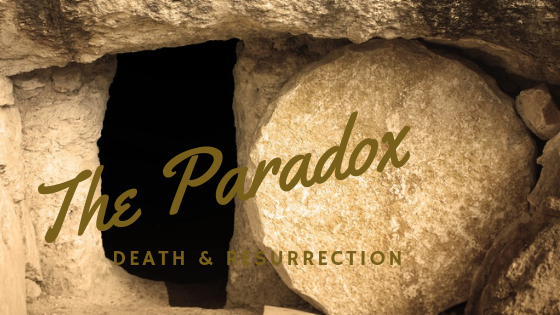 Here a world view forms in line with scripture and the finished work of Christ’s death, burial and resurrection. As we taste and see the goodness of God in brief glimpses of what is to come, questions lose their urgency, answers become unnecessary in the Presence of the One who is The Answer! We often fail to ask the right questions! Jesus, however, presented a question we all must ask. The answer will be a reflection of perspective. While most people viewed Jesus from the lens of nearsighted religious perspective, Peter saw more. Jesus, the Messiah, Saviour, God with man, stood among them. The answer to that question will determine how we face every other answer-less question. Is God who He said He is? Is He incomparably loving, immeasurably compassionate, completely just, righteous, gracious and kind. Do I know Him as all-powerful, all-knowing, and all-present? Can I trust Him? in the [victorious] God of my salvation! In Him is courage and strength. Though weak in body, I consistently move forward in spite of challenges. 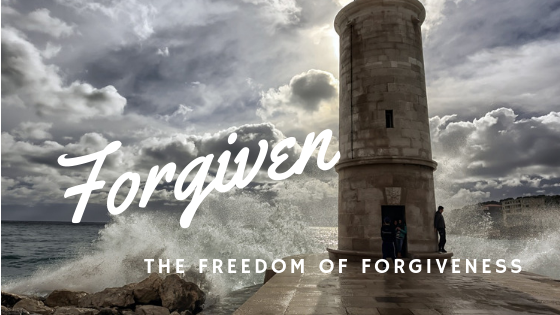 Because of Jesus, I am free to enjoy the safety of my “box”, the connection of the bridge to God and others through the cross, as well as the wonder and abundance of heaven. Something Better! God is Faithful to All He has Promised!